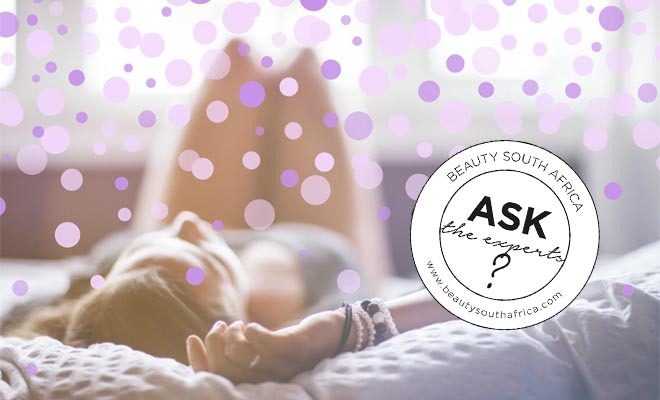 BeautySouthAfrica - Skin & Body - Are you getting enough of the sleep that really matters? Are you getting enough of the sleep that really matters? You were exhausted and couldn’t wait to get into bed, but now it’s 2am and you’re still wide awake, getting more and more anxious as the minutes tick by and you lose out on the precious hours you should be asleep. Or maybe you did go to sleep, almost the second your head hit the pillow, but then, like clockwork, you woke up in the middle of the night and now you know you’re going to watch the sun come up. Both scenarios are horrible and almost everyone’s familiar with at least one of them. Not getting enough sleep is awful but experiencing that continually can be life destroying. As a result, many turn to sleeping pills to help knock them out or keep them under at night, but, the irony, is that they still wake up feeling tired. Chances are you’ve heard of the sleep cycle but, did you know that certain parts of it are more important when it comes to restoring your body and prepping you for a new day? A full sleep cycle is made up of different sleep stages. To complete all of them takes about 90 minutes and you’ll go through several of these cycles during the night. The first part of the non-REM sleep cycle is very light sleep, when your body starts to relax. The second stage is slightly deeper during which your heart rate and breathing will start to slow, and the third stage is the ‘golden’ one. This is the time during which you’re in such a deep sleep that certain parts of your brain begin to ‘shut down’ in shifts, allowing it to take a real break, and your body releases hormones that help it restore and repair itself. If you could have more of any type of sleep, this is the one you want. Once you’ve completed all three stages of non-REM sleep you’ll enter REM sleep. This is the part where your brainwaves, which had been very slow during the ‘golden’ part start to speed up, which is why dreaming occurs. If you’re someone who’s not able to enter that deep part of the sleep cycle or don’t remain in it long enough, you’re going to wake up tired. Also, if you reach for an over-the-counter sleeping pill, it might put you to sleep, but will end up giving you more REM sleep (because they speed up your brainwaves) and not the golden type, causing you to wake up – you guessed it – feeling tired. Too many people write their inability to turn off or stay under as a mere by product of a busy, stressful life or ‘just the way it is’, but you can change it. Also, it’s important you address the situation fast as a chronic lack of ‘real’ sleep will have a negative knock on effect on the rest of your health. If you’re craving deep, restorative sleep and are ready to toss the sleeping pills, it’s time to make an appointment with Sleep Renewal. Our highly qualified doctors can help you improve your sleep cycle as well as diagnose any sleep related health problems that could affect it with tests that can be performed both in the clinic as well as at home. Ultimately, you want to spring out of bed in the morning feeling full of life, as opposed to wanting to crawl back under the covers and we can help you do that by getting you more of the type of sleep you really need.